Today we are announcing that we are taking our microserver designs beyond our custom clients and are making these systems available to a wider audience through our PowerEdge C line of systems. 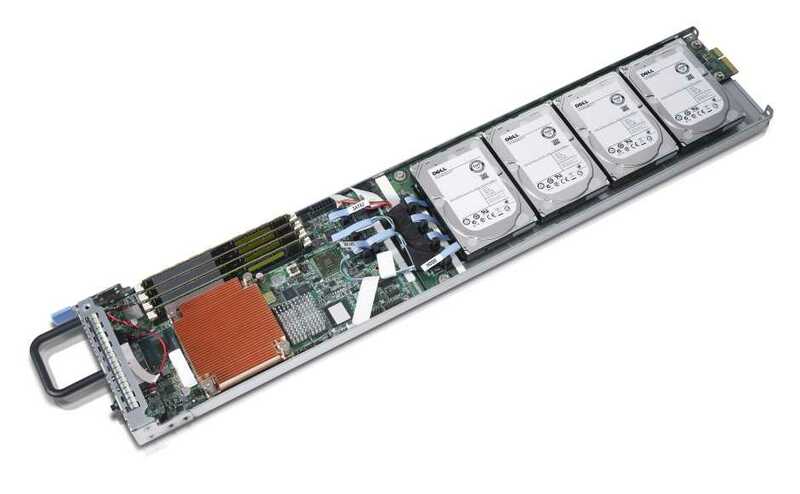 The PowerEdge C5125 and C5220 are ultra-dense 3U systems that pack up to twelve individual servers into one enclosure. The C5125, which is AMD based, will be available next month and the Intel-based C5220 will be available in May. The PowerEdge C5125 with one of the 12 server sleds pulled out. Microservers are a new class of systems specifically designed for those use cases where multi-core CPU architecture and extensive virtualization are overkill. What they provide instead are multiple low-cost dedicated servers, each featuring a single-socket CPU, where one CPU is perfect for running single applications. The general idea behind these lighter weight systems is that they are right-sized for a particular set of applications such as serving up Web pages, streaming video and certain online gaming services. One of the most important attributes of the PowerEdge C5125 and C5220 is their density. By packing 12 one-socket servers in a 3U form factor these systems deliver four times the density of more conventional 1U servers. This translates to four times less floor space, cabling and racks all of which means greater revenue per square foot for web hosters and data center operators. These systems further save on power and cooling by leveraging shared infrastructure. 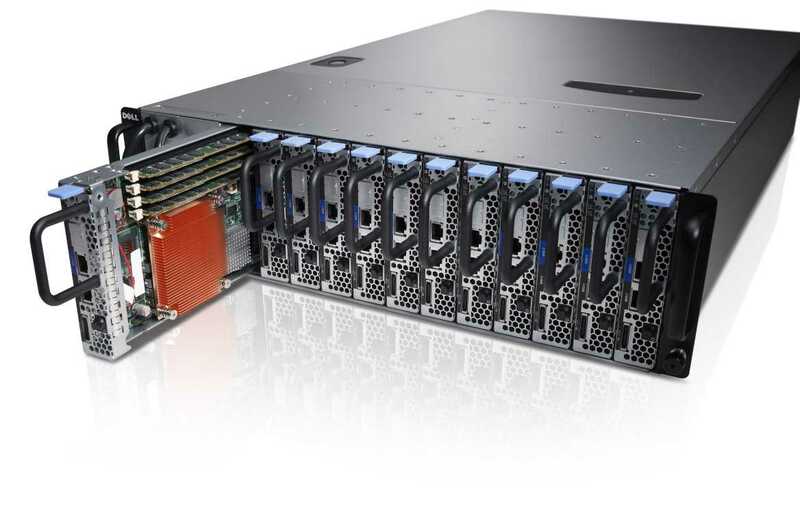 The server nodes in the chassis share mechanicals, high-efficiency fans and redundant power supplies all of which helps it save up to 75% in cooling costs compared to typical 1U servers. One of the server sleds from the C5125. This is a four 2.5-inch HDD version, there is also a two 3.5-inch HDD version. So if power, cooling and revenue per square foot are somethings you are concerned with or you are looking to provide dedicated hosting to your customers of lighter weight applications you just might find the PowerEdge C microserver systems something you want to take a closer look at :). This entry was posted on Tuesday, March 22nd, 2011 at 2:00 am and is filed under Uncategorized. You can follow any responses to this entry through the RSS 2.0 feed. You can leave a response, or trackback from your own site.